Persimmon Park is a celebrated community garden and gathering spot developed for the Bay Meadows Housing Development. It features 99 gardening beds available to Bay Meadows residents, including 6 demonstration beds designed and maintained by Homestead Design Collective. 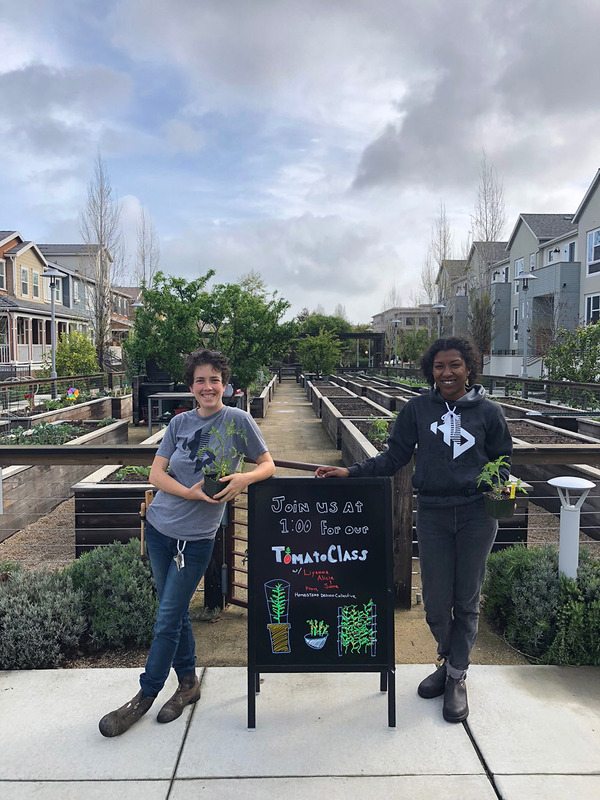 Homestead works with residents on a weekly basis to learn organic gardening skills and hosts a once a month garden class for the San Mateo community. Photos courtesy of Bay Meadows.